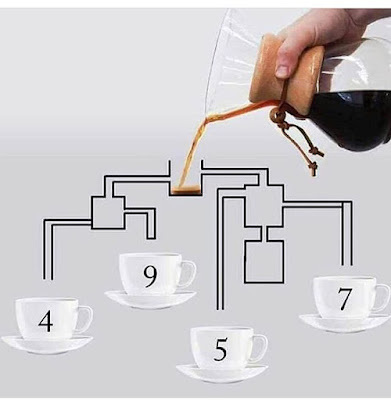 Home / WhatsApp Forwards / whatsapp puzzles / WhatsApp Puzzles with Answers / Which tea cup gets filled first? Which tea cup gets filled first? Which among the 4,5,7,9 tea cups get filled first. Cup no. 5 will fill first. Because, the pipe to all other cups are blocked when looked closely. Share this question and answer with your friends in WhatsApp and Facebook. Visit Forward Junction US again for more latest puzzles.